Alameda has joined a growing list of “sanctuary cities” for undocumented immigrants, promising not to arrest people for their immigration status alone. On Tuesday, the city council voted unanimously to join a list of many cities across the country bracing themselves for stepped up immigration enforcement under President Trump. At least 30 people spoke out in favor of the resolution and the meeting lasted past midnight. Vice Mayor Malia Vella said she wanted the vote to send a message that the city would protect civil liberties and civil rights. Vella's grandmother, who was imprisoned in a Japanese internment camp in Hawaii during World War II, sat in the audience at Tuesday night’s council meeting. “It was emotional for me,” Vella said. "Knowing how it affected her and my family and my partner’s family and so many people in Alameda. We still have my grandmother’s identification cards." Under Executive Order 9066, thousands of American citizens of Japanese descent were banned from their homes and interned in remote locations because the U.S. military suspected some were more loyal to imperial Japan than to their new country. "If there’s a request for a registry or internment or an executive order, we don’t want to be complicit in that. We took oaths to uphold the constitutional and that includes civil rights. The federal government is not infallible," Vella said. Vella wears a silver necklace with the number 9066 to represent the injustice of internment. The other side is stamped with the legal case number of Korematsu v. United States, in which Fred Korematsu, who was convicted for refusing to leave his home in San Leandro and move to an internment camp, appealed to the U.S. Supreme Court. Oakland, San Francisco, Berkeley, Richmond, Los Angeles and Santa Ana have declared themselves sanctuary cities; some recently, others decades ago. 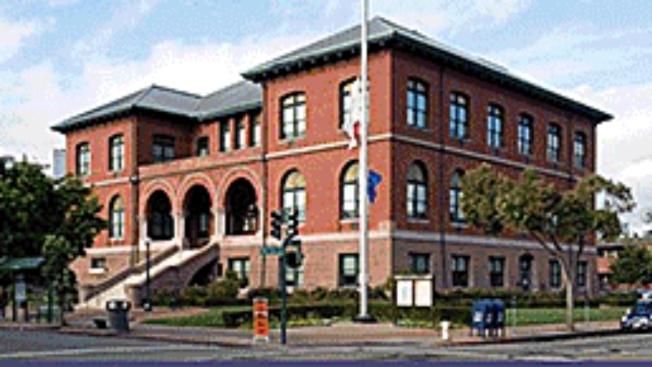 Alameda assistant city attorney Alan Cohen said the council’s 4-0 vote (Mayor Trish Spencer was absent) supports the Alameda police policy not to arrest immigrants, which has been in place since 2009. “The council and the community was concerned and afraid about federal government taking unprecedented action once Trump assumes office. They want assurance that we’re not going to participate in these egregious policies,” Cohen said. About 30 people spoke at Tuesday’s council meeting in favor of the city of refuge resolution. Two people spoke out against it. The meeting lasted past midnight. Councilmember Jim Oddie had asked for a report on how much federal funding could be pulled if the Trump administration follows through on his threat to pull freeze grants to sanctuary cities. The city attorney’s office said the city gets about $2.5 million dollars in federal funding, not as much as some cities which get larger sums to operate jails. The Alameda school district has already declared itself a sanctuary district. The Sanctuary Movement was born in the 1980s in churches and synagogues that sheltered Central American immigrants who fled unrest and violence but weren’t given refugee status because of Cold War politics. Supporters argue that sanctuary policies allow undocumented immigrants to come forward without fear of deportation and help law enforcement solve crimes and protect their neighborhoods.